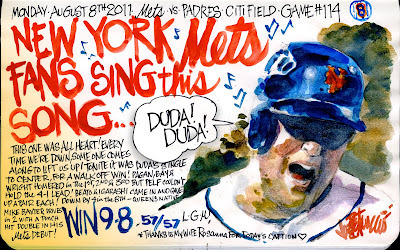 My Mets Journal: DUDA DOOD IT! Yep... these guys have Mettle! And it's time to bring him back! I remember 1979 fondly. I was a kid and for $1.50, we used to sit in the Mezzanine because they'd routinely close the Upper Deck. And Mettle used to graze behind the outfield fence where it was rumored he ate from coach Joe Pignatano's vegetable garden. The article says Doubleday and Wilpon shipped him off when they bought the team, but considering the recent past, I say it was Wilpon alone. And I just found this great piece about Pignatano. I've been singin that song all day! It's stuck in my head. What a great way to end the game. 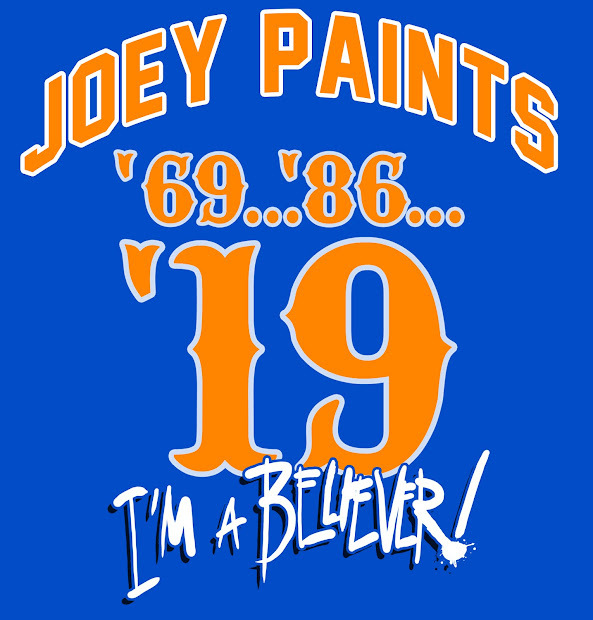 "I Believe!" Whew, we needed a win like this. What a great comeback. And off Heath Bell too. I think Baxters double sparked the offense. 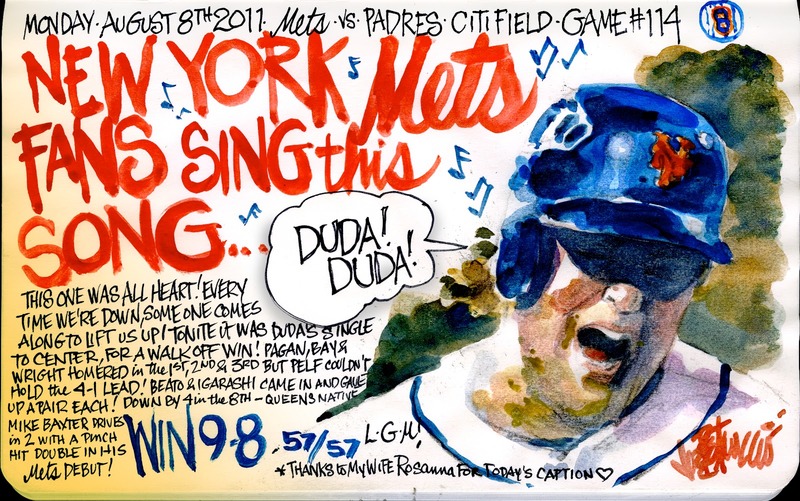 That was as huge as Duda coming through. What a game! as we used to say during his days as a Binghamton Met "Hit that ball right out of here, Duda, Duda"
I'm a Mets fan from the DC area and while at a Mets-Nats game where he was playing LF while Bay was on the DL last year (and my seat happened to be located right next to left field), some fan was using that tune to mock him. I'm glad we're getting to a point where we can make it our own, especially since his bat has been really coming alive this season. I love the idea of working in a Big Lebowski reference for the Dude - I have no issues with a combination of my favorite team and one of my favorite movies! Let's go Mets!